Housebound after a 2 foot snowfall, I took some time today to make a spring planting schedule. It took a literal "snowed in" status to get me to sit down and finally do this. Each year, for the last six years, I've consulted books and websites to determine planting dates for specific food crops. I typically jotted down a smattering of "to-dos" on my wall calendar, but I never wrote up a complete schedule specifically for all my desired crops and their planting dates for an entire season. It takes a blizzard to get me this organized. 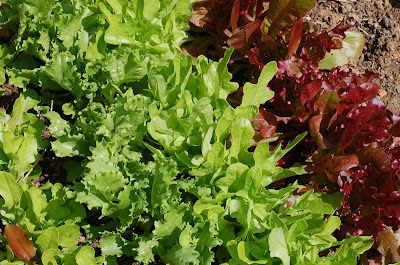 Here is my food garden planting schedule for spring. It is based on an average last frost date of April 15 in USDA Zone 7. 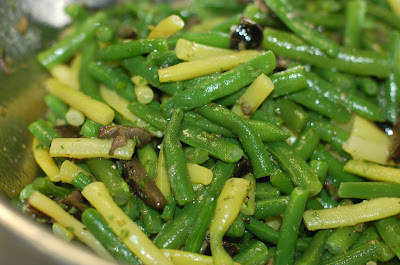 I was also influenced by my own experience with certain crops over the last few years. What I hope to do, now that I've got everything down on virtual paper, is to keep detailed notes from season to season, year to year, and adjust planting dates according to my own backyard conditions and microclimate. 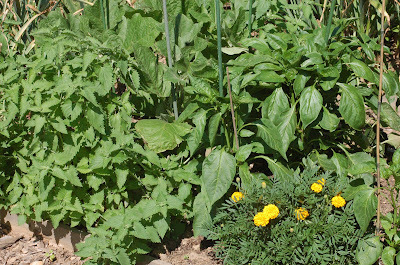 I also plan to watch for phenological cues--environmental goings-on that provide planting indicators for specific crops (e.g., plant parsnips after daffodils bloom). 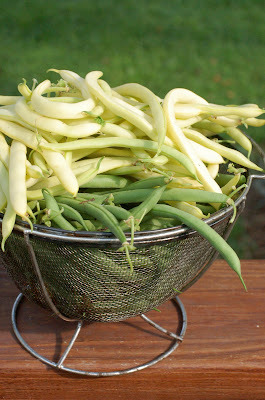 My next task is one of geography--mapping each crop to a designated location in my garden. It's a perfect January day today -- snowy and cold! 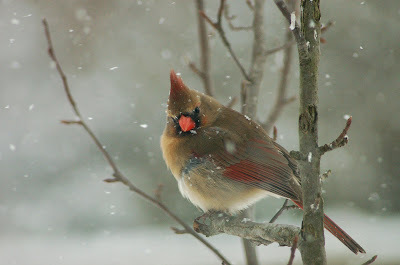 I am sitting inside by the window, thoroughly entertained by the 10 cardinals and other various birds clamoring for the feeders out back. A quick check of my seed stash confirms that I have plenty of tomato, eggplant, squash, and other pepper seeds left over from last year. At some point, I'll want to order potatoes. I haven't grown potatoes since my community garden days, and I'd like to bring them back into the mix this year. I have my eye on 'Rose Finn Apple' or 'Russian Banana' fingerlings, but really, it could be any variety. There is no potato I don't love. Coming up in February: I'll be firing up the grow lights. Time to get the leek seeds started! 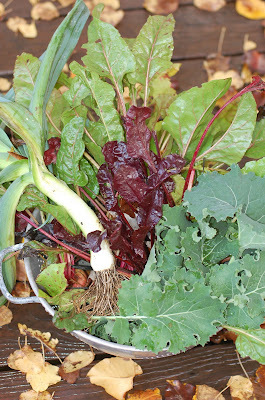 Here's a look at what I picked from the garden on Thanksgiving day: beets, kale, and leeks. We used the beets and leeks in our Thanksgiving meal and the kale for another dish. I have a good crop of leeks this year--probably the best I've ever grown. 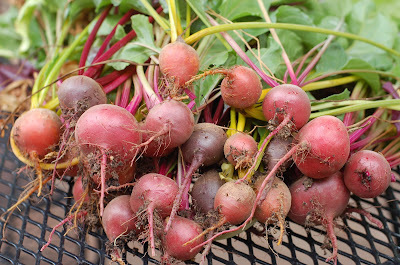 Beets, however, seem to be in constant shortage. I never seem to plant enough to suit my appetite for them. Next year, I'll definitely plant more. And more kale, too. Here's how the garden looks today. We had our first snow yesterday. Last weekend I mulched around the artichoke plants and covered the asparagus and garlic beds with leaves raked from the yard. 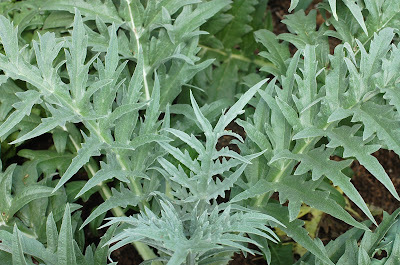 I'm trying to keep the artichoke plants especially well mulched so that the crowns of the plants will make it through winter. In our Zone 7, we are teetering on the edge of temperatures that would kill globe artichokes in the winter, so this is a bit of an experiment to see if they'll make it. We had 5 very tasty artichokes this year. Not many, but they were so delicious (and such pretty plants) that I feel they're worth the effort. Earlier this week, our neighbors gave us some of their extra Jerusalem artichoke bulbs to plant. Unfortunately, the timing and weather make it impossible for me to get them in the ground right now. Jerusalem artichokes will grow here, but they can be invasive (unless we eat them all, of course!). 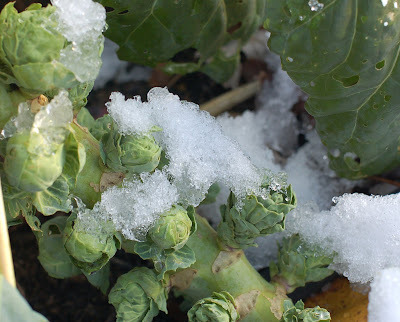 Here are the brussels sprouts I grew this season. I haven't harvested any yet, as I was hoping they would get a little bigger. They seem to be opening up more than getting any bigger, though. I will probably harvest a few and try them out this week. Last year, I had NO success growing brussels sprouts, so this is good progress. 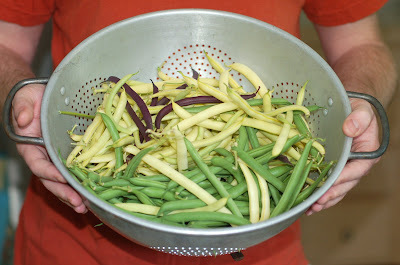 Here's a look at the latest treats from our garden. 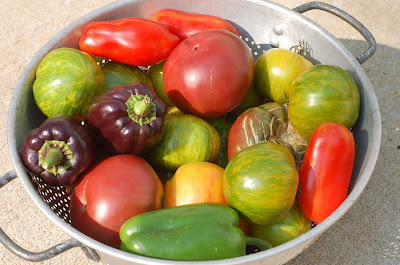 The first peppers are coming in now, and we've been trying to keep up with a bumper crop of heirloom tomatoes. I know, what a problem to have, right? 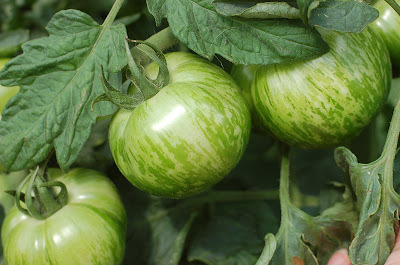 We planted four varieties of tomatoes this year: 'Cherokee Purple,' 'Green Zebra,' 'San Marzano,' and 'Gold Medal.' Favorites-wise, I'd rank them in that order, with the 'Cherokees' reigning supreme. We've been knocking out a lot of these in gazpacho -- a perfect, refreshing meal for hot summer days. We've also had various tomato salads. 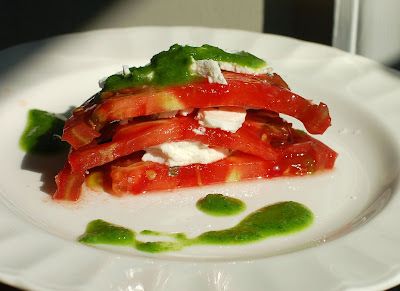 And here's a tomato stack filled with a tangy chive goat cheese we picked up from the Stonyman Gourmet Farmer. 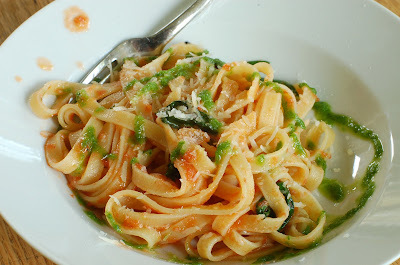 The finishing touch is a homemade chive oil, made by my own resident gourmet, Michael. He creates, and I happily eat! 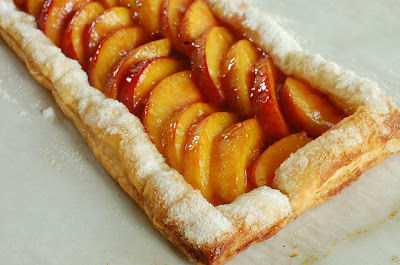 We finished off dinner with this fresh nectarine tart I made. There aren't any garden ingredients in there, but it was so pretty I figured it was blog-worthy. I have at least 5 eggplants that are plumping up now. So far, this is my best success with eggplant -- ever. The variety I'm trying out is 'Black Beauty,' which can grow fruits 8-10 inches long, 1-3 pounds each. The one in the foreground of the photo is not quite tennis-ball size yet, so we still have a way to go before picking. Not a problem, since we are presently trying to keep up with an abundance of ripening tomatoes! Too bad we traded in the old pickup truck. We could have grown food in it! Check out this video about the Truck Farm. Fun idea. Inspirational. And I love the singing. "...The arugula grows, the basil grows, the lettuce grows... oh, oh, sweet, sweet Truck Farm grow...". 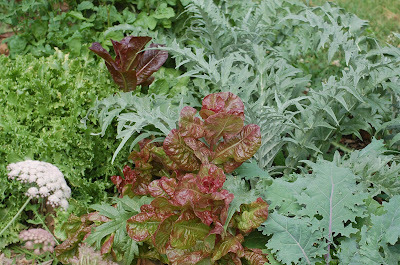 You've never seen a CSA like this. 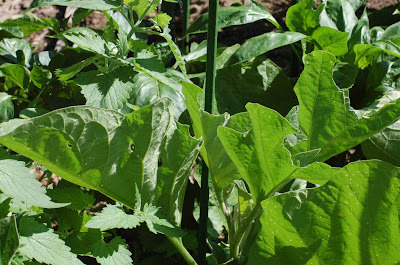 One of the things I'm most looking forward to from my garden this summer is eggplant. 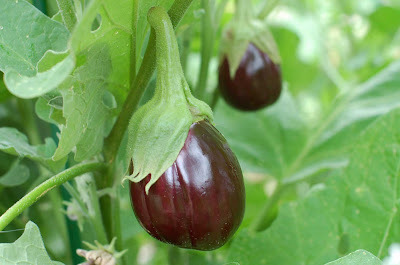 We tried growing eggplant at the community garden several years ago, but we were terribly unsuccessful with it. At best, we got one marble-sized fruit from a plant that had leaves as lacy as a bridal veil because of persistent flea beetle damage. I came to the conclusion that it just wasn't possible to grow eggplant around here. 1. I sowed seeds early -- indoors in February -- so that I would have good-sized plants to put outside after any danger of spring frost had passed. 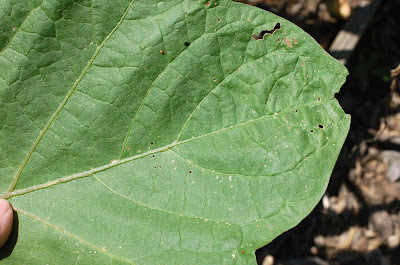 Flea beetles are less attracted to eggplant foliage that has toughened up. They prefer to feast on young, tender seedlings--something I witnessed first-hand with my own past plantings. 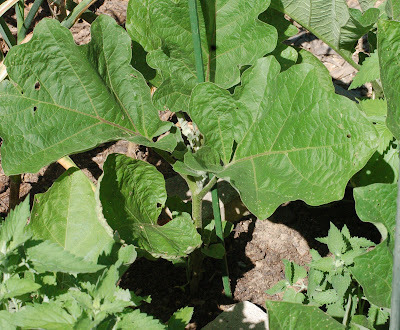 Eggplants, like peppers, are tropical plants that need a long growing season. So I started my seeds under grow lights around the same time I started my pepper seeds, in February. Eggplant plants like to stay warm, so I used a heating mat under their pots. By the time I put my plants in the ground in mid May, they were about 6 - 8 inches tall. Admittedly, they weren't the healthiest looking plants I'd ever grown. The long stay indoors and the extended hardening off process, repeatedly interrupted by this spring's cold snaps, made the plants suffer. 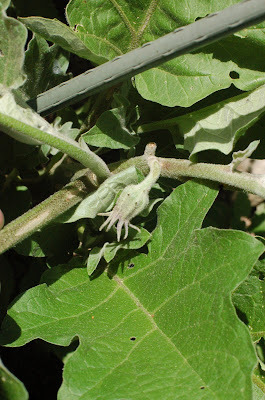 But these were still the earliest and biggest eggplant plants I'd ever started with, and that's progress. 2. I put bricks near the base of the plants when I planted them outside. 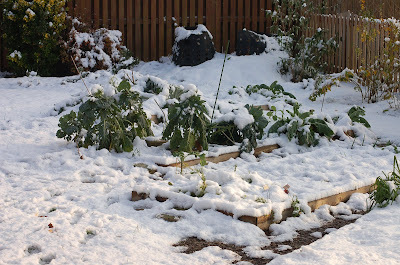 Somewhere I read that putting stones near the base of eggplant plants will help them stay warm. The stones absorb warmth from the sun in the day and then give off residual heat in the night, creating a cozy micro climate for these sensitive plants that don't like to be in anything below 55 degrees Fahrenheit. The plants have grown up enough now that the bricks are shaded during much of the day, so they probably aren't helping much anymore. Early on, though, perhaps they helped. 3. I made catnip the companion. Catnip is said to be a natural deterrent to flea beetles. I divided the catnip I grew last year (which, by the way, my cat wanted nothing of) and I put it to good use in the bed where I put my eggplants. The two companions are growing well--and I think they look nice together too. So here we are today and I'm happy to report that I have my best-looking eggplant plants ever. There's even a blossom on one of them! I do see a few flea beetles around, and there is evidence that something even bigger has been sampling the leaves, but the damage overall is far less severe than what I'd seen in the past when we sowed very young seedlings. I can't say for sure if this conquering-of-the-bugs success can be attributed to any or all of the above tactics, but something seems to be working. 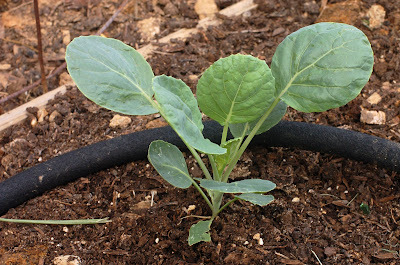 We added mushroom compost to our soil, too, this spring, and that seems to have helped all of our plants come along. I just hope all goes well from here on out. We are already daydreaming about eggplant meals.